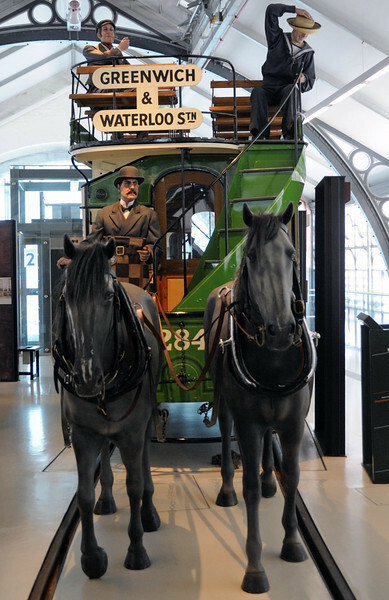 American-built 1882 London Tramways Co horse tram No 284, London Transport Museum, Covent Garden, Sun 1 April 2012 1. One of over 300 supplied by John Stephenson & Co, New York. After withdrawal in 1910 it became a hen house for 60 years before being restored.